Shopping for a new BMW X4? Order an X4 xDrive30i with M Sport trim and the adaptive suspension and it'll hit most of the M40i's highwater marks while costing thousands less. 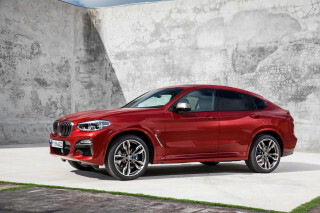 The 2019 BMW X4’s crossover-coupe shape will draw in well-heeled buyers, its drivability in top trims may just keep them there too. This 2019 BMW X4 is not simply a curvier version of the X3. Underneath its raked sheet metal, the 2019 X4 crossover SUV has a taut suspension to make it more fun to drive than the X3 as well. The BMW X4 lineup is divided by its the two engines. The base X4 xDrive30i is powered by a 2.0-liter turbo-4 with linear power delivery matched to satisfying sounds. 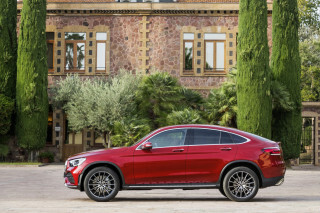 It also delivers 25 mpg combined, topping the Porsche Macan and Mercedes-Benz GLC300. Starting at around $51,500, the xDrive30i comes with all-wheel drive, an advanced infotainment system, and active safety tech. At about $61,500, the X4 M40i is a big step up in price, though it brings more performance. Its 3.0-liter turbo-6 delivers 355 hp and a healthy 365 lb-ft of torque and will crack off 0-60 sprints in just over four seconds. It’s "M lite," with its appearance package backed up by chassis enhancements including an available active locking rear differential. Interior space is not an issue, at least for front seat occupants. BMW extended the wheelbase of the X4 to give rear seat passengers more room, though the new X3 is a better option if passengers and their cargo will be regulars. The X4 interior’s design is more in sync with the rest of the BMW lineup and emphasizes a horizontal and slim styling theme and soft touch surfaces. It isn’t as fresh as the new 3-Series, but the X4 has a clean, organized feel. 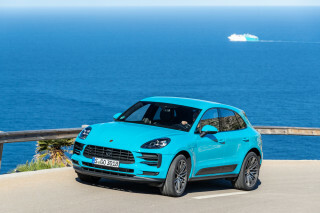 Features such as the latest version of iDrive and a 10.3-inch touchscreen for infotainment with navigation and a trial period for Apple CarPlay are standard. Luxury items such as leather surfaces, keyless ignition, and even satellite radio are on the options list—be prepared to spend well above the base price. On the safety front, the X4 is equipped with automatic emergency braking, and can be outfitted with additional active safety tech as options. The 2019 BMW X4 tries hard—maybe too hard—to stand out. The dramatic way the 2019 BMW X4’s rear half tapers backward draws attention whether on the road or in a parking lot. 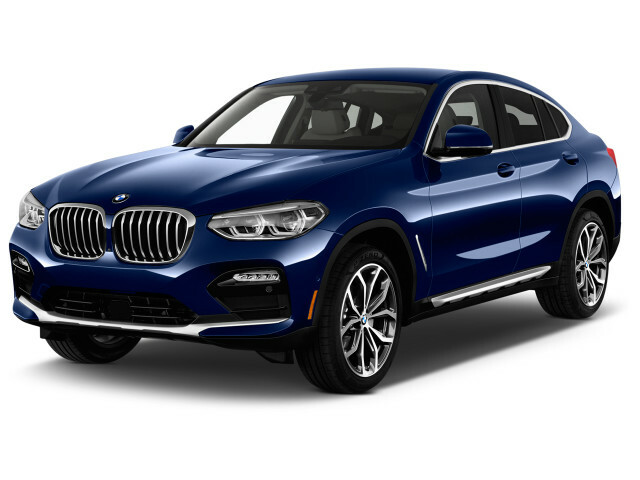 The X4’s tightly pulled creases and standard 19-inch wheels (with upgrades up to 21-inches on the options list) give it an athletic look, even though it rides higher than a sports sedan. The X4’s tail end is hard to ignore for the way it puts fashion ahead of form. Even loading passengers into the rear seat can be a chore thanks to the way the roof dives back toward the X4’s truncated tail. Inside, the X4 has an upmarket feel with a low dash with slim vents and buttons grouped in a logical order. Trim panels in plastic, aluminum, and optional real wood give it an upmarket ambience—as they should for how much this crossover SUV costs. The 2019 BMW X4 M40i does a convincing sports sedan impression and leaves little to fault—except price. 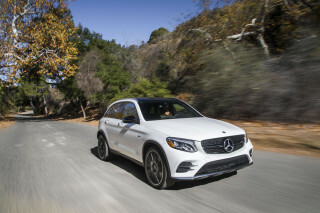 Terrific engines, a lower center of gravity than a typical crossover SUV, and a finely tuned chassis make the 2019 BMW X4 a commute-slayer and a corner-carver. The X4 xDrive30i uses the latest version of BMW’s common 2.0-liter turbo-4 and generates 248 hp and 258 lb-ft of torque between 1,450 and 4,800 rpm. More impressive in our books, is how smooth the power delivery is from a stop where similarly powerful competitors such as the Alfa Romeo Stelvio and Range Rover Evoque require concentration and careful throttle manipulation for a smooth and moderately quick getaway. Its high pressure fuel injectors create a raucous that’s only noticeable from outside the insulated cabin. BMW’s larger 3.0-liter turbo-6 powers the X4 M40i. With 355 hp and 365 lb-ft of torque, the turbo-6 is more than sufficient for the X4. The standard all-wheel-drive system has a more rear-drive biased setup in the M40i, which pairs well with the available M Sport differential that varies the amount of axle lock depending on the network of chassis sensors. Also deserving of special recognition is the fast reacting and sixth-sense tuning of the 8-speed automatic transmission in both X4s. The X4’s suspension construction and setup borrows heavily from its sibling, the X3, and is a remarkable improvement over the last X4. The X4 has its own suspension tuning to take advantage of its lower center of gravity compared to the pedestrian X3. Lightweight suspension components make for faster suspension reactions that benefit the ride and handling tuning and results. The X4 has a thick-rimmed steering wheel that feels good to hold but lacks the road-feel magic BMWs once had. The sports exhaust can deliver a bit of an off-throttle burble yet also a quiet, drone-free ride with its internal flap and audio sound cancelling. 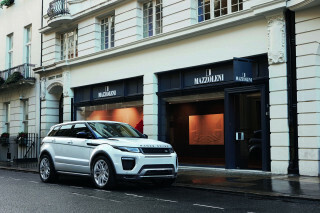 Optional dynamic dampers allow the driver to set the baseline for Sport to Comfort. Realistically a four-seater, the 2019 BMW X4 puts style over practicality. The 2019 BMW X4 has a comfortable, well-wrought interior—at least from up front. Passengers and their gear are not the priority here. Up front, the X4’s narrow roof pillars and firm, supportive seats wrapped in either synthetic or real leather mean good outward vision and all-day comfort. The 2019 X4 has more legroom for rear-seat passengers than its predecessor, but, the sloping roofline requires a careful approach to avoid a painful head knock against the sheetmetal. Once settled into the rear seat, passengers will find space for two and a low roofline that cuts into head room and visibility. The 2019 X4 feels its price as its exterior and interior designs deliver an upscale experience with LED exterior lighting and soft-touch materials throughout its interior. The tactile, precise feel and response from its the interior controls help it feel a cut above rivals and iDrive controller demonstrate a sense of precision. The overall impression is a coordinated effort that delivers a high quality feel. Critical active safety tech is standard on the 2019 BMW X4, but advanced features are costly extras. The 2019 X4 comes with automatic emergency braking with pedestrian detection and a system that rolls up the windows and tightens the seat belts if it senses an impending collision. 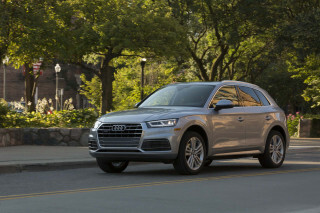 Additional safety features such as adaptive cruise control with stop-and-go capability, active lane control, a head-up display, and a surround-view camera system that aids with close proximity parking are costly options. To buy an X4 with advanced active safety tech, buyers need to first select the costly Premium package and then tick a few more boxes. The 2019 BMW X4’s coupe-like design is standard, but you’ll pay extra for almost everything else. Restraint is required when it comes to the 2019 BMW X4’s options list. The base xDrive30i is susceptible to price creep as it lacks commonly expected features: heated seats ($500) and keyless ignition ($1,000). Additional goodies include a digital instrument cluster and adaptive LED lighting, but BMW requires that buyers select optional tiers before the best tech can be unlocked. Look to spend upward of $60,000 on an 2019 X4 xDrive30i you might find on a dealer’s lot. The equipment content of the M40i is similar to those of the xDrive30i, though it includes an appearance package with more shapely bumpers and darker exterior trim. The M40i also lets buyers add softer leather trim and more interior features. The X4 includes a 10.3-inch touchscreen for infotainment, but BMW made a significant change to its Apple CarPlay compatibility. Its wireless capability to connect to iPhones is now subscription-based. BMW flips the bill for the first year. Afterward, it’s $80 annually. The 2019 BMW X4 is fairly thrifty given its power output. The BMW X4’s sleek lines cut through the air, helping it earn decent fuel-economy figures. The 2019 X4 includes a stop-start system, active grille shutters, and conspicuous curves and cuts that move air around the car in a controlled and efficient manner. The X4 M40i pairs big power with more consumption. It’s rated at 20/27/23 mpg. 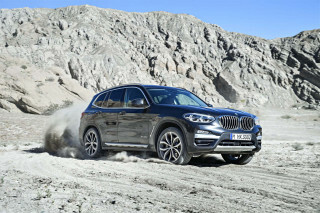 Regardless of engine, the X4 is a match for a BMW X3 with the same engines. Looking for a different year of the BMW X4?